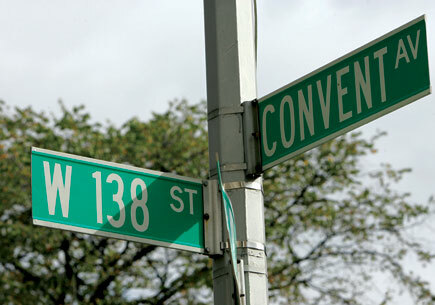 Take the IND "A" or "D" express, or the "B" or "C" local to 145th Street and St. Nicholas Avenue, walk west one block to 145th Street and Convent Avenue, then south to 138th Street.The CCNY shuttle bus makes regular stops to this subway during the day. The main campus drop off point for Access-A-Ride is 160 Convent Avenue New York, NY 10031, centrally located between the Administration Building and the North Academic Center. Below, you can find drop off points for specific buildings on campus. The Center for Worker Education is located at 25 Broadway on the 7th floor. Take the "4" or "5" trains to Bowling Green and walk 1 block north on Broadway. Take the "2" or "3" trains to Wall Street, walk 2 blocks northwest on Wall Street to Broadway, and walk 2 blocks south on Broadway. Take the "J" or "Z" trains to Broad Street, walk 1 block northwest on Wall Street to Broadway, and walk 2 blocks south on Broadway.